To kick off the Mama Tried Show in Milwaukee, Wisconsin, Jeremy Prach created Flat Out Friday with a vision to put seasoned veterans and first timers alike on the starting line. 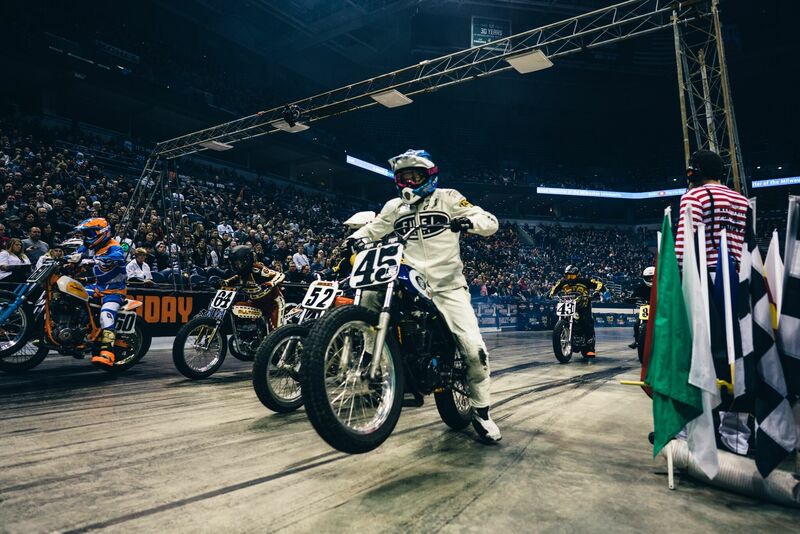 Seven motorcycle classes, over 200 bikes, and 10,000+ people make up this indoor flat track race. Get this- they all ride on a Dr. Pepper syrup soaked surface. Talk about insanity. Thanks to Mike Dunn, we were able to get our hands on some photos of Flat Out Friday that took place this past weekend. He got some up close and personal shots of the cool bikes, fun people, and the race. Take a look at some of our favorites!